Jesus said, “For where two or three are gathered in my name, I am there among them.” We enjoy gathering together at St. Paul’s! And when we gather, there is usually food involved! Regularly scheduled lunch groups, supper clubs, parish dinner events and musical concerts allow our parishioners to form close relationships with one another. Interest groups meet during the week to play bridge or to discuss the latest best seller. On Sundays, many people follow worship with a cup of coffee and a visit to the donut table. St. Paul’s parishioners are always looking for ways to get together! Young or young at heart, there something or someone to connect to at St. Paul’s. CLASP (Church Ladies at St. Paul’s) - CLASP is a ministry of connection which offers a variety of fellowship opportunities for ALL women. CLASP Members take turns and volunteer to plan a monthly outing or event of their choosing with the option of teaming up with two or three other people to organize an event. CLASP is an opportunity to take a break from daily responsibilities and enjoy friendship and fellowship with other women at St. Paul's. You can invite other friends along as well. CLASP also meets quarterly on Sunday mornings. ALL ARE WELCOME! Questions? Suggestions? Please contact Alexis Sheehan ([email protected]), Jane Adams ([email protected]) or Gina Brownfield ([email protected]). Led by Garrett Yates, this is an informal group of young adults who enjoy socializing, board games, other merriments and outings. Depending on the nature of the event, meeting places vary from local eateries, bike trails or people’s homes. This monthly group meets on the second Friday of the month at 1pm in the Lounge to discuss book selections chosen by participants, typically popular fiction and historical titles. New members are always welcome! This a monthly ladies’ group who gather for lunch on the fourth Thursday of the month. Diners take turns choosing the restaurant. New members are always welcome! 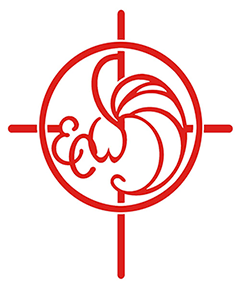 The ECW avidly participates in the outreach efforts of St. Paul’s. ECW raises funds for and contributes to many worthy organizations and groups including Calvary Camp, Camp Healing Hearts, hospices, health clinics, and many other causes. Hosted by the Confirmation Class, it’s not quite Mardi Gras, but this annual event symbolizes the last opportunity to eat sweets and rich foods before Lent. Periodically throughout the year we offer newcomers a chance to socialize over a light brunch, while getting to know the people and programs of St. Paul’s. This is a “chat and chew” group of mostly retired men who meet for lunch on the third Thursday of the month. Diners take turns choosing the restaurant. New members are always welcome! This informal group of knitters gathers in the Lounge at 7pm on the second and fourth Thursday of the month. Bring your latest project and enjoy the companionship of other crafters! Your Altar Guild Christmas Flowers Guide is Here!